MACKMA® is MASSARO GROUP’s Engineering Unit. The MASSARO GROUP boasts over 30 years experience in the civil and industrial construction industry. 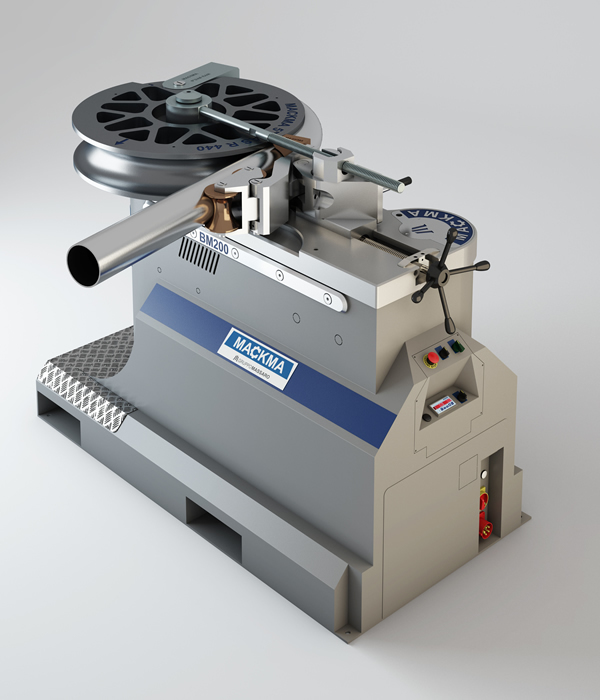 Now, with MACKMA® it also manufactures innovative industrial machines. A team of engineers and technicians specialised in technological innovation, together with carefully selected suppliers provide high profile turnkey products. MACKMA® covers the entire production chain: design, manufacture, commissioning, and after-sales service, to ensure the highest quality during every stage of the process. MACKMA® summarises all the best qualities of Italian industry: professionalism, technology, design, safety, energy savings, and environmental sustainability to meet every market requirement. In 2014, J&S Machine was awarded the exclusive US distributorship of MACKMA pipe bending products.